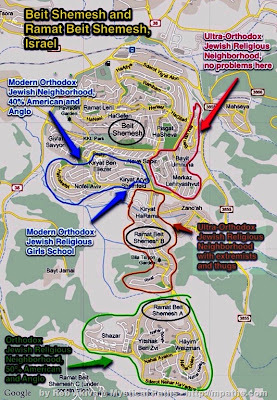 There is an ongoing war in the Beit Shemesh/Ramat Beit Shemesh municipality, as the "Sirikim" (Ultra Orthodox Chareidi Extremists) have been targeting a national-religious girls elementary school "Orot Banot" which is at the edge of a religious neighborhood and at the edge of a Chareidi neighborhood. The "sikrikim" thugs have been spitting at the school girls (1rst graders!) and calling them all sorts of names: prutzot (sluts), zonot (whores), and more. The following heartbreaking video report was broadcast last week, and has been subtitled into English by the Mom in Israel blogger. I highly suggest you find the time to watch it. Tonight, there is going to be a demonstration outside the "Orot Banot" school in Beit Shemesh. While the initial organizers of the demonstration are from rights groups that I don't always see eye to eye with, I understand that many more mainstream organizations will be attending as well. I have even heard reports that moderate Chareidim plan on attending to express their outrage at the violence directed at the school children. I will update this post a bit later with more thoughts on the issue -- and how its imperative for moderate Chareidim to vocally express their outrage at the behavior of the sikrikim. 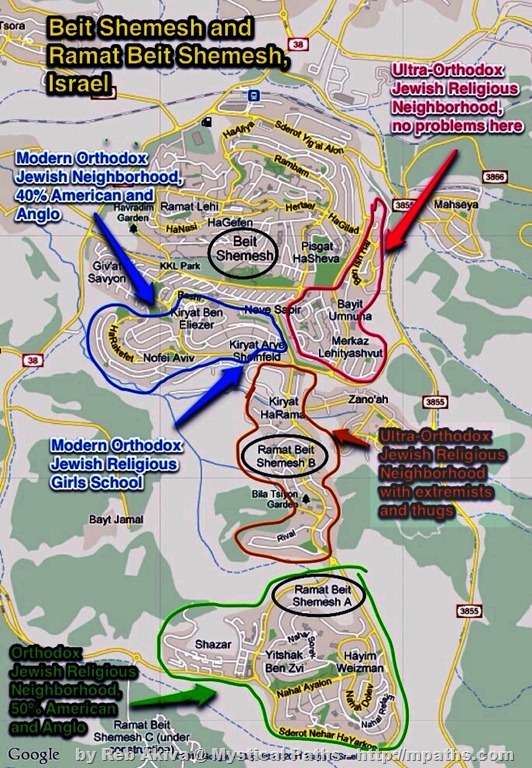 95% of the Ramat Beit Shemesh Chareidi population are offended by the behavior of the sikrikim. Not actively expressing their disgust, no matter what the reason (the Gedolim didn't tell us to demonstrate, Chareidi politicians are taking care of it, the demonstration is too political, the demonstration will lead to Lashon Hara, etc.) are all excuses that are tantamount to "Shtika k'Hodaa" -- or silence is admission (agreement with the sikrikim). Update on the Hafgana here. Details: Starting at 6 PM is the big hafgana against violence and extremism. 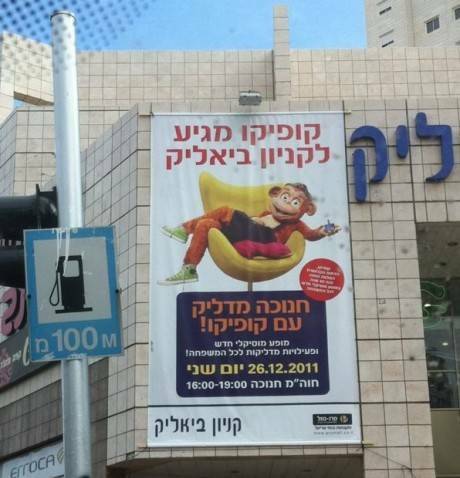 The hafgana will be on the street outside the OROT Banot girls school on Herzog Street in Beit Shemesh. People will be going from all over the country -- be there and make a difference! Stand up and be heard and counted! Who Said This Nationalistic Statement? The land which we have returned to, to inherit, is the legacy of our fathers, and no foreigner can have a part in it. Our enemies have stolen our legacy from us and have unjustly taken it, and now G-d has made our path successful, we have retaken our fathers' legacy and we have settled in it. Who said this, in what context, and what party were they from? The Way G-d Intended Jews to Live. This isn't the first time I've seen such ideas articulated -- but this is the first time I've seen them so disconnected from traditional Judaism that views Israel as a central theme in the religion. “I recently read an article of yours in which you list reasons for making aliyah. While your reasons are quite compelling, there was one reason listed that our family always considers the one sad thing about making aliyah and that is the less yom tov days celebrated. 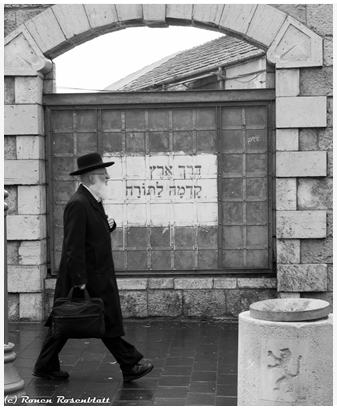 “While we look forward one day to live in Eretz Yisrael, during every yom tov that we celebrate in galut, we end up mentioning how if we would already be in Eretz, we would have a day less and we can’t imagine how hard it would be. During Pesach, we cannot imagine only having one Seder. While we often enter the first Seder quite tired from all the preparation, we are always thrilled to know that we will have a second one the next night, which, after our yom tov naps, we enjoy even more. “We cannot imagine Shavuot being one day. Our first day of Shavuot is spent half asleep, as the men (and sometimes the girls) have spent the whole night learning. We can’t imagine the loss of not having a second day when everyone is more awake to enjoy the yom tov meal and shiurim that take place that day. We can’t imagine how the seriousness of Shemini Atzeret and the joyfulness of Simchat Torah have to be combined into just one day. “Please do not be upset with me for my suggestion that perhaps your yom tov celebration is missing something if you conceive that less yom tov is a wonderful advantage. “May all your yomim tovim be an inspiration and a source of spiritual growth and may we meet soon B’eretz HaKedoshah. Shmuel Katz has a decent answer for her in his article. I just wonder if this woman would also be offended by billboards calling on yordim to move back to Israel. 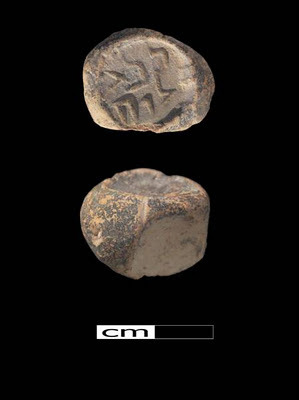 In a rare Second Temple (Bayit Sheyni) period archeological find, Israel's Antiquities Authority announced today that a small, yet significant artifact was found as part of the City of David archeological dig. The artifact apparently served as authorization that a particular item or food was considered ritually pure for use in the Temple. The item was found underneath the Robinson Arch, 15 meters North of the Southwest corner of the Temple Mount. The item was located in the layers of dirt which covered the foundations of the Western retaining wall of the Temple Mount -- which was the primary road during the second Temple period. The excavated dirt was carefully sifted through by 3,500 volunteers, mostly Israeli high school students in the Emek Tzurim national park. The 2 cm artifact is made from tin, with the Aramaic words on it, "-daka" and "-leh" Daka in Aramaic means "pure" and "Leh" is part of G-d's name. According to the directors of the Antiquities Authority, archeologists Dr. Eli Shukrun, and Professor Roni Reich from Haifa University, the words mean, "Holy to God." The artifact was a type of "bag check" for items brought to the Temple, ascertaining that it was holy and could be used. The following poster appears on the Kiryat Bialik mall -- it is not a photoshop. Shlissel (Key) Challah: The Loaf of Idolatry? - Every year Jewish women, young and old, partake in the Ashkenazi1 custom to place a key (such as a door key to a home), inside the dough of a loaf of bread that they bake.2 This custom is known as shlissel challah—shlissel from the German language shlüssel (key) and challah or hallah from the Hebrew for bread. - The baking of a key inside a bread is a non-Jewish custom which has its foundation in Christian, and possibly even earlier, pagan culture. At least one old Irish source tells how at times when a town was under attack, the men said, ―let our women-folk be instructed in the art of baking cakes containing keys. - Keys were traditionally manufactured in the form of a cross, the traditional symbol of Christianity, a physical item all Christian commoners would posses in their home. On Easter, the Christian holiday which celebrates the idea of Jesus "rising" from the dead, they would bake the symbol of Jesus—the key shaped like a cross—into or onto a rising loaf. - The modern Jewish custom of baking the symbolic shlissel challah, annually takes place on the shabbat immediately following the holiday of Pessah, when tens (if not hundreds) of thousands of religiously observant Jewish women11 practice this observance. - In Christianity, baked goods associated with keys are commonly called "Easter breads," and in Europe they are also known as ‗Paschals,‘13 as the holiday of Easter in the East is known as "Pascha" or "Pascua." This is most likely the reason Christians often call Easter breads baked with keys Paschals. - While the custom is said to be mentioned in the writings of Avraham Yehoshua Heshel (the ―Apter Rav‖ 1748-1825) and in the Ta’amei ha-Minhagim (1891), there is no one clear source for shlissel challah. And while people will say there is a passuq attributed to it, there is not. And, even if there were, a passuq that can be linked to the practice is not the same as a source. Micha Berger, founder of the AishDas Society, [orthodox] calls this type of logic "reverse engineering," it‘s like drawing a circle around an arrow in a tree, and subsequently declaring the arrow is a bullseye. The idea of baking shlissel challah is not from the Torah; it‘s not in the Tannaitic, Amoraitic, Savoraitic, Gaonic or Rishonic literature. The Torah teaches that Hashem punishes the wicked, and rewards the righteous. It does not say that challah baking or any other activity will help address our needs…When the matriarchs were barren, they did not resort to segulas, but introspected and prayed…Nothing in Torah supports this concept of segula; Torah sources reject the idea of a segula…baking challas with brachos cannot help…segulas are useless, and violate the Torah prohibition of Nichush [good luck charms]. It does not matter if the charm is a rabbit‘s foot, a horseshoe, a challah, key or a red bendel. The practice assumes that forces exist, which do not, and it is idolatrous. - On the far end of the scale, it can be said that shlissel challah observance is a nothing less than "the way of the Amorites." It is precisely this type of behavior and observance which Jews are supposed to separate themselves from, so it doesn't go on to influence our thoughts and deeds. Am Yisrael was not created to lose itself in such folklore, and Judaism without disciplined study is nothing but folklore. Judaism allows and encourages the use of our minds. It‘s never too late to realign our path with Torah sources, not blind faith practices which are trendy, in, or cool. - Educated Jews should help to promote Torah sources to our friends and neighbors, not false practices which are of non-Jewish origin and have nothing to do with Judaism. Maybe it's time to move to Israel? Now's the time to move to Israel...before your kids start asking questions like "What tefillin does Santa wear?" Yakov Jacobson was doing pre-Chanukah mivzoim in Laguna Beach, CA, when he happened upon a familiar character who - he was surprised to find out - is a Jew! The man had never put on tefilin before, a 'Karkafta,' and Yakov helped him do the mitzvah for the first time in his life. What would Israel's Liberal Left Sacrifice for Peace? Israel's liberal-left is constantly stating we need to make "sacrifices" for peace. At least stating "sacrifice" implies taking away something of value, of something near and dear to us...such as land. Netanyahu has gone farther and stated "painful" concessions...(meaning even more land, and uprooting Jewish communities). The Palestinians don't only hate the Zionist entity of Israel because of "the occupation", but they also hate the secular aspects of Zionism. The original Zionist pioneers, men and women dancing the hora on a kibbutz (while wearing shorts) infuriated the religious sensibilities of Islam, and they viewed secular Zionism with disgust. I wonder if Israel's liberal-left would be willing to make a sacrifice for peace, in that they would need to adopt a more modest-dress lifestyle, in public. Would this far-reaching attack on one's personal space be an acceptable "price for peace"? Everyone's heard about the YU's "The Beacon" scandal story -- even the JPost reported on it. For a very thoughtful take on the story, even comparing it to the parashat hashavua, I recommend you read R' Pruzanky's take on it. "How do we discuss sensitive, delicate, even prurient matters? In fourth grade, we just skipped over the story of Yehuda and Tamar; that’s one approach. It doesn’t work well. How can you transmit values when the subject matter, or the application of those values, are taboo, and unmentionable? Granted, despite the anonymous author’s best efforts, the average commercial on television is more risqué and suggestive than this short story; and granted, I can see why the “Yeshiva” side of the YU ledger was offended. But there is, unfortunately, a seamy corner of the Jewish world that we would do well not pretending that it does not exist. It exists – it exists because the culture is that decadent, and because young people looking for love, attention and respect often seek it in the wrong places and in the wrong activities – and they wind up without love or respect, although they do capture the attention, temporarily at least, of the exploiters and predators." R' Yitzchok Adlerstein over at Cross-Currents titles his post A Grand Theory of Halachic Everything. He reviews a fascinating article by Dr. Moshe Koppel, which I highly recommended, "Judaism as a First Language"
Judaism, in a way, is not that different from English—or any other language, for that matter. In fact, Judaism is a language of sorts; its internal dynamics, the manner in which it evolves, and the powers through which it is fashioned are all startlingly similar to those of the linguistic process. Now, one can treat this comparison as a mere intellectual exercise, an interesting metaphor at most, but I believe its potential implications are great and far-reaching. It can shed light on some of the problems that keep many contemporary Jews—myself included—up at night: If Judaism, as it is currently practiced in certain circles, has gone off the rails, how would we know? Is there some Archimedean point from which we could decide the matter? And, if this is indeed the case, is the founding of a Jewish state likely to get us back on track? The answers to these questions, I will attempt to show here, are all inextricably connected, and the key to finding them may perhaps lie in understanding Judaism as language. And if there’s one thing I’ve learned from her[President Obama's daughter, Malia] it’s that it never hurts to begin a speech by discussing the Torah portion. It doesn’t hurt. In fact, I am proud to say that no U.S. administration has done more in support of Israel’s security than ours. None. Don’t let anybody else tell you otherwise. It is a fact. And that is a fact, you may not let anyone tell you otherwise. It IS A FACT. Well, it wasn't dispatched by the US Government -- the Israeli government paid for the super tanker...whatever. Thank you, God bless you, God bless the United States of America. Amen. Had this been said by an Israeli Prime Minister, the media would be in an uproar over the religious intolerance of Israel's growing anti-democratic character. In perhaps one of the most important decisions in the past few weeks, Israeli PM Netanyahu has proven that he has the ability to make clear and decisive decisions, despite a cacophony of hatred from the ideological children of Ben-Gurion's decision to use deadly force against fellow Jews. 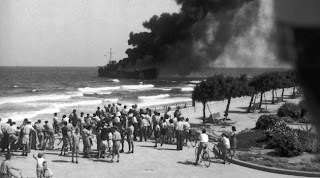 The proverbial artillery cannon which shot at the Altalena was named the "Holy Cannon"...and became a central theme in Ben-Gurion's legacy. In response to the violence in the Shomron a few days, the ideological children of Ben-Gurion's "Holy Cannon" have called for shooting settlers. And why do Ehud Barak, Ben-Eliezer or Yossi Sarid never call the weekly violent protests by Israeli leftists and anarchists are Biyalin or Yaalin, in which over 110 IDF soldiers and border policemen have been wounded -- the work of "terrorists"... and they reserve the use of their holiest of canons, and reserve the use of deadly force, only at settlers? Defining "Hilltop Youth" as a terror organization is ludicrous (there is no such organization called the "hilltop youth"), yet the statement is clear: Jewish ideological violence against Jews is not terrorism. Violence is wrong and should be punished to the full extent of the law, but it is not terrorism. You don't shoot to kill other Jews because that leads to a civil war. Netanyahu learned one lesson right from Menachem Begin, who said there should never be a civil war in Israel. 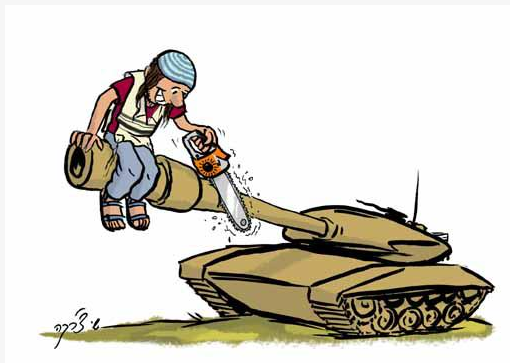 Unfortunately, Israel's Defense Minister Ehud Barak and MKs from the Labor party would be more than happy to mow down settlers with Ben-Gurion's "Holy Cannon." In response to the planned IDF demolition of a Shomron region outpost, "Ramat Gilad", dozens of Israeli teenagers broke into the nearby IDF Efrayaim Battalion HQ, puncturing tires on jeeps and lobbing paint-filled balloons at IDF jeeps. Earlier in the evening, a rock was thrown into the jeep of the Battalion commanding officer, Ran Kahana, which injured his deputy. The above cartoon, by Shay Charka says it all. The teenagers who attacked the IDF fail to realize that they are first and foremost, hurting themselves. Their behavior is wrong and the violence is wrong. It damages our unity, it damages the IDF, and most depressing of all, gives our enemies reason to rejoice and point fingers at the violence and increases the likelihood of the destruction of Ramat Gilad. The background: Ramat Gilad is a 10 year old, small community of about 10 families and 30 children located on a hilltop in the Shomron region -- on a clear day you can see from Hadera to Ashdod. The buildings of Tel-Aviv are clearly visible almost any day. The community was founded in memory of Gilad Zar, the security officer of the Shomron Regional Council, who was murdered by Palestinian terrorists -- shot at point blank range in 2001. Gilad's father, Moshe Zar is a well-known and colorful character. Moshe is a longtime friend of former Israeli Prime Minister, Arik Sharon, when he served under him in the legendary "Unit 101." Moshe was wounded in the 1956 Sinai Campaign and lost his left eye as a result of his injuries. In 1983 he was attacked and stabbed by a group of Palestinians but survived. Moshe purchased thousands of dunams of land in the Shomron from the local Arabs. In 1982, Moshe Zar purchased 2 parcels of land from an Arab resident of Jinsafut. In response, the seller's neighbors beat him brutally. As a result, the seller refused to hand over the documents concerning the second parcel of land despite the fact that Moshe Zar had already paid for it in full. He asked Moshe Zar not to back out of the deal and promised that he would not oppose cultivation of the parcel by Moshe Zar. This parcel has been cultivated by Moshe Zar since then, as evidenced by aerial photographs and by testimony of an Arab worker who plowed the land on behalf of Moshe Zar. To this day no one else has ever claimed ownership of the land or contested the land's cultivation. No complaints were filed with the police, army or civil administration despite the fact that the area is clearly visible from Jinsafut. In 2000, the largest Israeli flag ever created was unrolled on the hill, which then began being called Givat HaDegel. The flag was later burned by local Arabs. Shortly after the murder of Gilad Zar in 2001, Ramat Gilad was founded. The first two caravans plus a double caravan for a Bet Knesset were placed with the approval of then Prime Minister Ariel Sharon and his advisor for settlement affairs, Yossi Vardi. In 2003, a plan for 185 units on the slopes of Ramat Gilad was approved by the Housing Ministry. The plan received all the necessary approvals except for that of the Defense Minister, for whose approval we've been waiting for eight years. In 2004 "Peace Now" petitioned the court to require the government to destroy Jewish settlements that were built on private Arab land. Moshe Zar was not invited to the proceedings. No one else claimed ownership. No Arab has any claim on the land. The only complaint that has been presented to the Supreme Court, for Jews living on a hilltop in the Shomron is from "Peace Now." As a result of the petition, the government committed itself to destroying Ramat Gilad by the end of 2011. MK and Government Minister Benny Begin recently visited the hilltop to discuss its fate with Moshe Zar. Who gains from this violence? Peace Now and Ehud Barak gain from the settler violence, as it makes it far simpler to destroy Ramat Gilad. The tiny minority of violent settlers fell right into a perfectly laid trap...and have made it far more difficult for the rest of us. Almost everyone is jumping on the bandwagon these days, saying that the evil MKs that comprise the (elected) government in Israel are doing their best to destroy the "Democratic Character" of Israel. What has enraged them the most by far, is the proposal to allow the people of Israel, via their elected officials to actually decide who will comprise the makeup of the Supreme Court, rather than giving exclusive veto power to the existing Supreme Court justices. In effect, the Supreme Court today ensures there is no representation of "the people" on the court, rather they decide in their own exclusive, infinite wisdom who may join them in ruling over Israel. I suggest you view the following short (2 minute) video, which is captioned into English, for a clear, concise explanation of why democracy is allegedly endangered by letting the people of Israel have a say who should be on the Supreme Court. If you don't like the video, and do believe that Israel's Democracy is truly in danger by allowing the Supreme Court justices to be actually representative of the people of Israel -- you are in good company. I'm sure you'll enjoy this unbiased article (written by an Israeli) on the same subject at Al-Jazeerah's Cross-Cultural Understanding section, entitled: Zionist Terrorists in the Knesset Threaten Remains of Democracy in Israel. Also referred to as the Magen David (David’s Shield) or the Six Point Star, the Star of David bears various religious and cultural meanings in addition to its traditional association with Judaism. Historically, the star has been used as a symbol in Islam, Christianity and Judaism alike. Made up of two superimposed equilateral triangles, the six points of the star point in all directions, symmetry and balance. Thus, the star exemplifies an equilibrium existing within ourselves and our surrounding universe. Don't imply, directly or otherwise, "that America is no place for a proper Jew, [the idea] that a Jew who is concerned about the Jewish future should live in Israel, is archaic, and also chutzpadik"
Days later, PM Netanytahu capitulated to the pressure and ordered that the ad campaign be shelved immediately. David Hazony's "Dissenting Opinion on 'Aba-Gate'"
Yishai Fleischer's "Dear American Jews"
Chana Rivka Poupko's "Dear Mr. Goldberg, That's Right. America IS No Place For A Proper Jew"
However, I'm sure that none of those who were extremely offended by Israel's message to it's expats to return home, will be offended in the slightest by the ad campaign shown above at the top of this post, now catching steam all over the USA...reported by the JPost. NEW YORK – Two Jewish-born entrepreneurs are a somewhat unlikely source for some equally unlikely holiday hits: the Hanukkah Tree Topper and Star of David Tree Topper. Those looking to top their Christmas trees with a Jewish star can find such ornaments online, and between evangelical Christians and people in interfaith relationships, the tree toppers are selling like hot cross buns. Morri and Marina Chowaiki have sold “thousands” of their Hanukkah Tree Toppers, a Star of David “menorahment” intended to be placed on top of a Christmas tree. Morri Chowaiki was raised Jewish in Los Angeles, and Marina was raised in Melbourne, Australia, by a German Jewish mother and Greek Orthodox father. While Marina grew up celebrating Christmas, Morri did not. 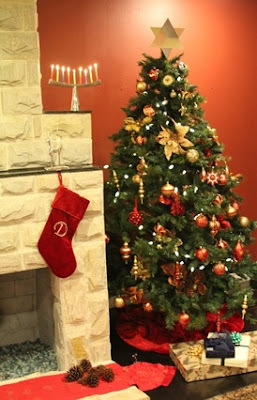 The couple decided to decorate their home for Christmas in 2005, and trimmed their Christmas tree with blue and silver decorations, including dreidels, as a tribute to both their faiths. “She decorated a tree and put a five-pointed star on top,” Morri recalled. He filed for a patent for his six-sided silver Star of David and started selling it on Amazon in 2009. Since then, he says, his Hanukkah Tree Topper has become the site’s No. 1 selling tree topper, as well as its No. 1 selling Hanukka item. The Hanukkah Tree Topper is also now sold on SkyMall, the in-flight shopping service, as well as online at Home Depot and Sears. Thousands of units have been sold in the US, Canada, the UK, Austria, Ireland, Australia and Mexico. For some strange reason, these Xmas-tree/Chanuka-bush Mogen Dovid tree toppers aren't selling like hotcakes in Israel. I guess we're just not as enlightened. I'm happy to keep it that way.